Ethel May Fuller, 91 of Idabel, passed away April 1, 2019 at her home. 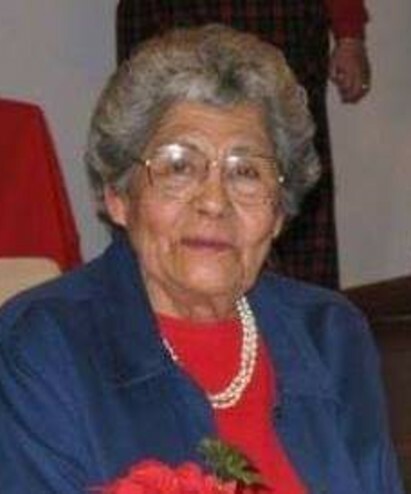 She was born May 25, 1927 in the White Swan Community of South Dakota, the daughter of Frank and Florence LaGrande. Ethel moved to Oklahoma in 1944 coming from South Dakota. She attended the First Presbyterian Church in Idabel beginning in 1945. She married Loyd Fuller on March 24, 1949. An inspiration to her children and grandchildren, Ethel always kept a positive attitude and always chose to see things on the bright side. She would often have friends who would come to minister to her, but by the end of their conversation, she would be the one ministering to them. She was a comforter and very strong in her faith in God. Family was most important to Ethel. She was a hard worker who provided for them and put her children through college after the passing of her husband in 1972. She enjoyed spending quality time with her family, especially playing with her grandchildren, working in her flower gardens, bowling and fishing. Ethel leaves to cherish her memory her son and daughter-in-law, Curtis and Chloe Fuller of Idabel; daughters, Louise Fuller of Idabel and Nita Fuller of Midwest City; step-daughter, Martha Jane Hudgins and husband, Charlie Ray of Idabel; grandchildren, Tina Pike, Allen Fuller, Patti Jeanes, Gwen Campbell, Alan Hudgins; great-grandchildren, Gavin Pike, Mya Fuller, Cameron Fuller, Ree Fuller, Jayson Atterberry, Lynci David, Matt Stone; great-great-grandchildren, Ethan Stone, Mattisyn Stone, Kasyn Stone; special friends, Sheila Eastep, Monah Hankins, Barty Shipp, Doris Leatherwood; numerous nieces and nephews in New Mexico, South Dakota and Michigan. She was preceded in death by her parents; husband, Loyd Fuller; sister, Beulah Turgeon and brother Cecil LaGrande. The family will receive friends from 5:30 p.m. to 7:00 p.m. Thursday, April 4, 2019 at the Clardy Funeral Service Chapel. A celebration of life memorial service will be held at 2:00 p.m. Sunday, April 7, 2019 at the Clardy Funeral Service Chapel with Don Shaw and John Malin officiating. Inurnment will follow in the Denison Cemetery. In lieu of flowers, Ethel requested donations be made in her memory to the First Presbyterian Church of Idabel or the Goodland Academy. A special thank you to Dr. Virginia Vittor, Kristen Scoggin, Encompass nurses Reesha Alvarez and Rose Shemwell, for your compassionate and professional care of our dear mother.